Cleveland Police are asking for the public’s help in providing any information pertaining to two robbery/shooting incidents targeting truck drivers. 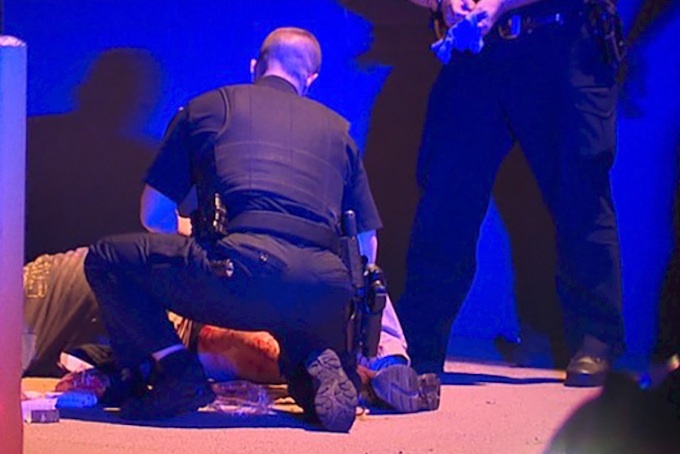 Both occurred during the early morning hours on the city’s east side on two consecutive days. However, police have not yet confirmed whether they believe both crimes are connected. The first incident occurred early Wednesday morning at around 1:50 a.m. at E. 33rd St. and Perkins Ave. A 52-year-old truck driver employed by Gateway Warehouses was climbing into his tractor-trailer parked at the company’s warehouses when two males suddenly appeared and demanded he give them his wallet. The driver refused and one of the men responded by shooting him in the leg. The suspects then fled the scene and the driver immediately called 911. When officers arrived on the scene, they found him still conscious but badly bleeding from multiple gunshot wounds to his leg. They applied a tourniquet to slow the blood loss until paramedics arrived and rushed him to a nearby hospital. The driver was last reported to be in critical condition. The second incident occurred just over 24 hours later, early Thursday morning at 4:15 a.m. The victim was a 66-year-old truck driver who was sitting inside his truck parked at E. 79th and Finney Avenue, also on the east side. Police say that the driver could only tell them that he was startled to see a man suddenly breaking the passenger window of his cab. The suspect then attempted to rob him and then shot him from the passenger's side of the vehicle. While it is not confirmed whether the gunman actually took any items from the cab, the driver was left with a gun shot wound to the chest and remains in critical condition. Unfortunately this recent string of truck driver shootings hasn’t just been limited to Cleveland. 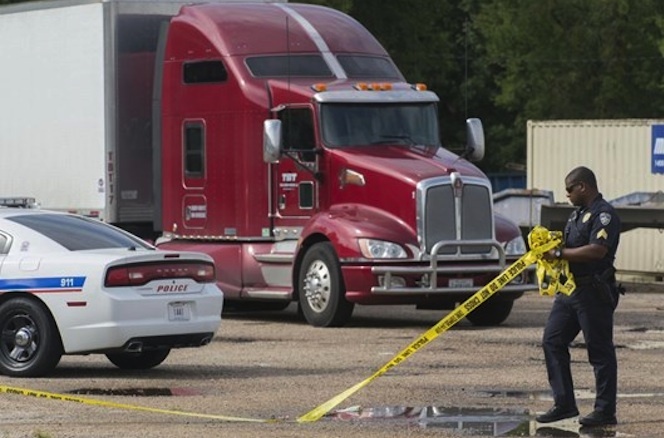 Just over a few weeks ago, a Louisiana truck driver was robbed and then fatally shot while doing repairs on his 18-wheeler in a store parking lot. According to the Baton Rouge Police Department, 49-year-old Keith Odom was patching a tire on his truck at about 8 a.m. on Tuesday, August 8th when he was targeted by a lone gunman. Witnesses told investigators they had noticed a man wearing a black hoodie and backpack pacing around the parking lot. Moments later they heard gun fire and saw the man running from the parking lot. Investigators believe that Odom was shot after he had co-operated with the gunman and turned over his property. Police have since identified the shooter as18-year-old Landry Carter and he is now in custody charged with first-degree murder and armed robbery.